Sometimes it can be really difficult to post content on your blog, especially if you don't always have the time or correct lighting to be able to take pictures. So I thought that I would put together a little list of ideas that I use when I'm feeling a little stuck and don't have the resources for taking some photograph's. Wishlist - Creating wishlists are a great way to be able to get a post up without having to take your own pictures. I normally do Homeware, Clothing, Makeup & Outfit wishlists and these tend to go down quite well. Everyone loves seeing other people's wishlists as it also gives them inspiration for what they may like for themselves. Favourites - You can either make a list of your favourite YouTuber's, Bloggers or Instagram pages (Twitter, Tumblr, etc.) and share them with your blogging friends so that they can see the type's of people that you enjoy following and can also give them a cheeky follow if they find them as interesting as you do. This certain category includes a whole range of different ideas. Lists - Creating lists about your favourite things about a certain something (whether that be Winter, Summer, Christmas, Easter, etc.) can be really engaging and these are definitely posts that I enjoy writing as it reminds me of the good things about certain time's during the year. Advice - Writing advice posts is always a great way of interacting with those who read your blog and it's great to hear other people's ideas on the same subjects, whether that be school, university, working life, relationships, etc. it's always really nice to give your advice on certain situations that other people can use in their day-to-day life. Tips & Tricks - I love reading 'Tips' posts. I always stumble across something that I had never thought of doing before and they can be super useful. Most bloggers write tips about blogging but it doesn't necessarily have to be something like that if you don't feel confident with it - find something you feel confident giving tips about. These types of posts are also extremely helpful, I've learnt a lot from reading them. 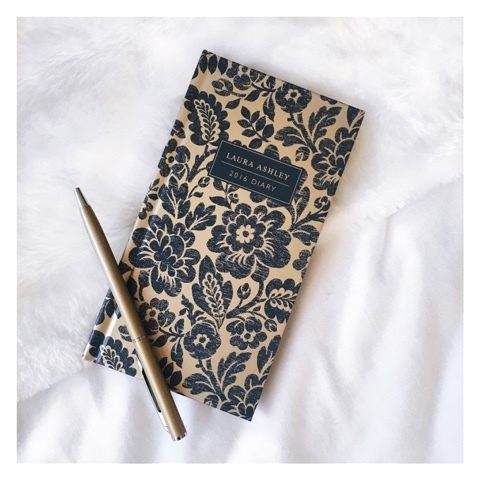 Guides - This could be a nice little gift guide sharing your own ideas for up coming events such as Mother's Day, Father's Day, Christmas Presents under £15 or Luxury Christmas Presents, etc. I always find these helpful especially if you are stuck for gift ideas and have no idea what to gift a loved one with! Holiday Destinations - Creating a list (including Google image photo's of course..) of holiday destinations that you would love to travel to could be a great idea. I'm always wondering where the best places to go on holiday are and creating a little list would be a fun way of finding this out. It's also something different to try out. Wallpapers - I have seen a lot of these type's of posts flying around recently. Looking on app's/website's such as Pinterest can help you to gather pretty images that you would like to use as a background on your phone and placing these together in a post with links to where you found them is great for those who are bored of their normal background that they have had for a while and they fancy a little change. I always love looking through wallpaper's that other people have found and loved. Ideas - By this I mean maybe something like Date Night ideas or Fun Things to do on the Weekend, etc. You can include photo's that you've previously taken some time ago that fit the theme of whatever you are writing about (just like my image above of a diary with a pen) and you're good to go! Simple as that. Personal - A lot of bloggers tend to write a few personal posts now and then, whether it be about their health, how they feel about exercising or simply what they have been up to that day. It's always really interesting to know more personal things about a blogger you follow and maybe that's something you would feel comfortable about writing about. I've never really posted anything personal on my blog before as I don't personally feel like my readers would be interested but if it's something that you feel you're readers would be intrigued about, then go for it. I can imagine that the words would flow effortlessly if you were writing about something a little more personal. So, there are a few ideas of mine if you can't always find the time to take 'Instagram worthy' photo's for your blog to go with a planned post. Some of these ideas are a little time consuming but it's fun so it doesn't feel like a chore at all. Let me know if you use any of these idea's for yourself as I'd love to know.